The Scale By Chris Loaded Chainsaw Crate is a 3D printed miniaturized replica that adds that perfect finishing touch to your scale build. This crate is packed full of all the things you need to keep your SBC chainsaw running, including a gas can, a bottle of bar oil and a bottle of 2-stroke pre-mix. 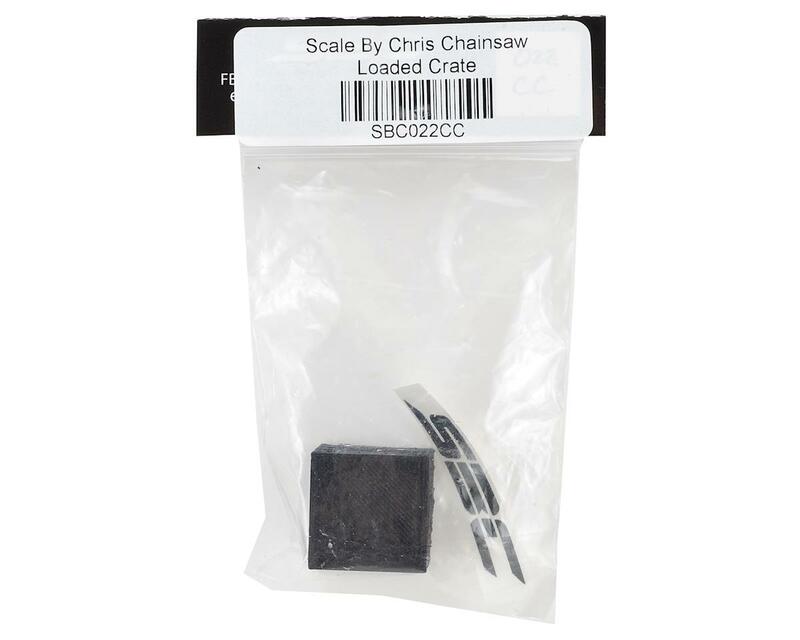 This is the perfect compliment to the SBC Chainsaw (SBC022C) and will look great in the back of a truck, or sitting on a shelf in your scale garage! 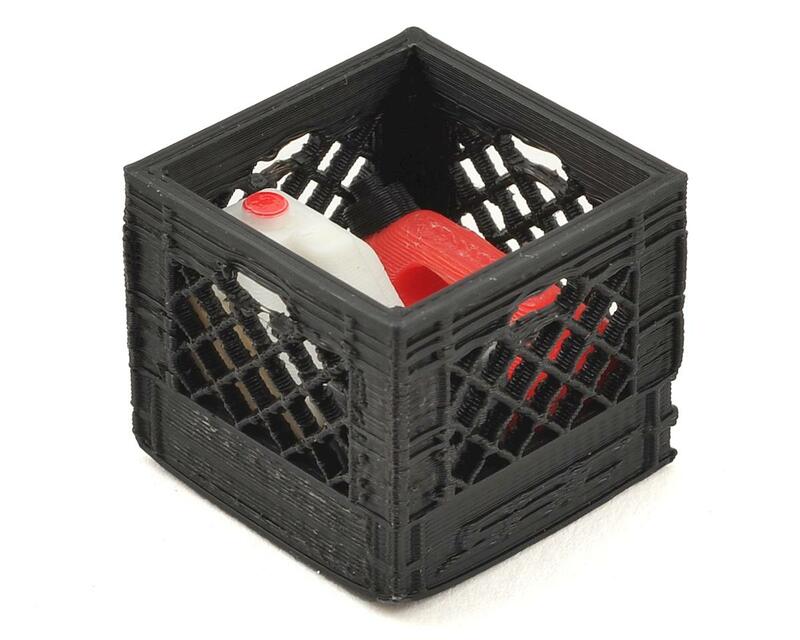 The crate measures approximately 25x25x22mm and includes the same details you would find in a real crate. It can be secured using a rubberized glue, or by drilling a hole in the bottom and installing a screw through the body to hold the crate in place. Precision printed at .2mm layer thickness with 20% infill, Scale by Chris scale accessories are designed, printed and hand detailed in house. 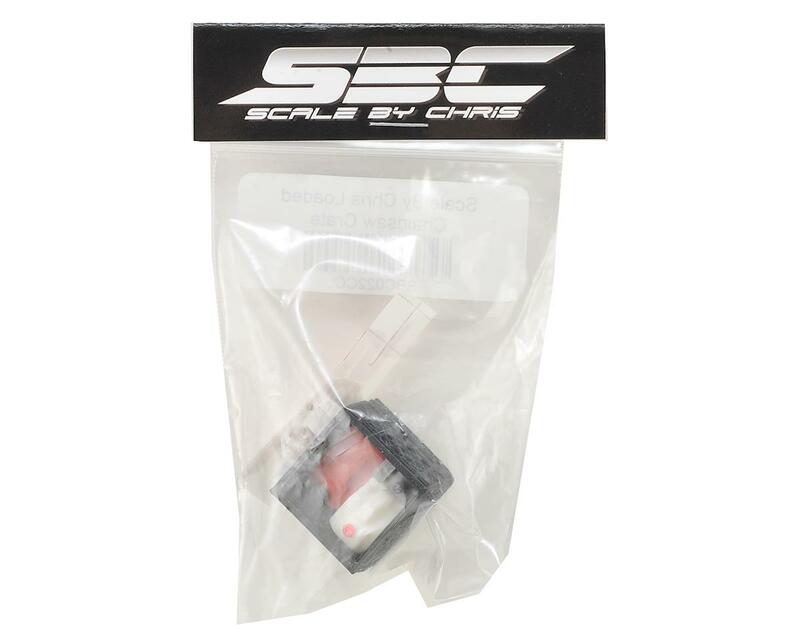 Printed in small batches, nothing with the SBC name is ever outsourced, meaning Chris puts his hands on every part before it goes out the door. All this effort is done to create a higher quality finished product, with the details you need to take your build to the next level.